A Catamaran sailing yacht feels like a floating dancing floor. It is pure comfort and romance. Depart from one of the best marinas very close to port Juarez, right in the middle of Isla Mujeres bay on a sunny afternoon, then lie down on this ample, spacious front deck to enjoy the ocean breeze. Be impressed by the amazing view of the Isla Mujeres, amid endless crystal clear tropical Caribbean waters. Stop at one of the best snorkeling spot right in the coral reef of Isla Mujeres, visiting the island,jump into the crystal clear water enjoy circled by sea turtles and colorful fishes, and then have a cold beer. While sailing over the water, this cat is quiet and steady, with plenty of space for you and your family to enjoy.The package also included a meal cooked freshly aboard by our french chef Patrick, don’t miss it. Come back from the ocean during one of Caribbean’s renowned sunsets, enjoy a glass of wine, or just be lulled by gentle tropical breezes. Your time in Cancun’s watery environs will be unforgettable. 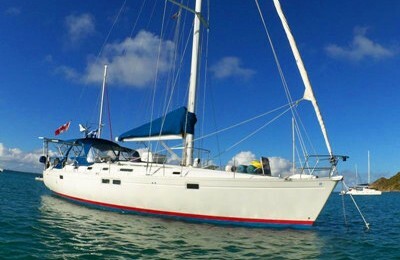 A 40’ ( 13 meters ) Catamaran Sailing yacht in excellent condition,with air conditioned salon area. Including fresh cooked hot lunch provided by French chef Patrick and open bar for 6 passengers. Food and drink fee $20 for each extra guest, you may purchase this while aboard. Boat, captain, crew member, fuel, port fee, transportation from hotel zone to marina are all included. Please tip captain and crew member for excellent service. 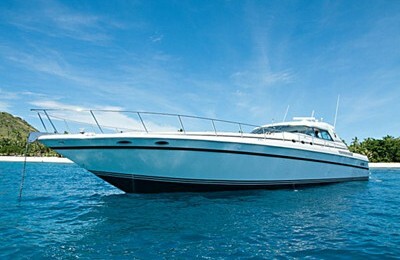 Add $400 for make it a full day yacht charter.